Power Clean Industrial Services meets the highest standards for safe and efficient handling of your waste transportation and waste disposal needs. Our waste transportation services help you comply with the ever changing EPA, OSHA and DOT regulations for waste transportation. We provide the most environmentally responsible, legal and cost-effective waste transportation available. When possible and practical, we will recycle, reuse or even secure “beneficial use” options for waste materials that have value to other industries. This can help reduce your waste transportation costs. Power Clean Industrial Services will assist with the cumbersome tasks of labeling, manifests and waste profiles for waste transportation. Our tracking systems assure that you are in compliance every step of the way. We work with clients of all sizes from industry to government. Whether you need waste transportation, waste disposal or both, we work hard to provide cost-effective services to manage every aspect of your waste transportation and waste disposal needs. 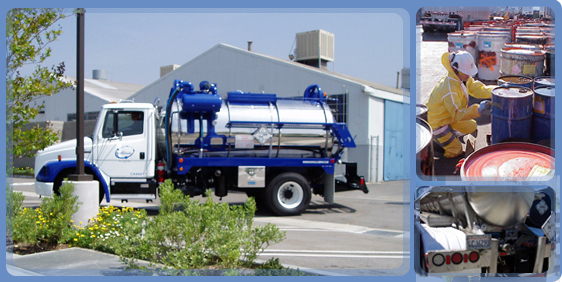 Our experienced crews are expertly trained to safely and efficiently handle all types of waste transportation and waste disposal. Safety is always a key concern. We make sure our crews have the best personal protection and transportation equipment along with extensive and expert training. For the best in waste transportation or waste disposal and all industrial cleaning contractor and environmental services, call Power Clean Industrial Services. Power Clean meets all OSHA and environmental regulations for its industrial cleaning contractor services. Our mission is excellence in training, safety, response time and the environment, bringing an exceptional value to every customer.